Is Your Business Dementia Friendly? What is Dementia Friendly St Andrews? People living with dementia sometimes need a helping hand to go about their daily lives and feel included in their local community. A dementia friendly community is made up of the whole community - shop assistants, public service workers, faith groups, businesses, police, fire and ambulance staff, bus drivers, school pupils, clubs and societies, and community leaders - people who are committed to working together and helping people with dementia to remain a part of their community and not become apart from it. This involves learning a little about dementia and doing very simple and practical things that can make an enormous difference to people living with the condition. 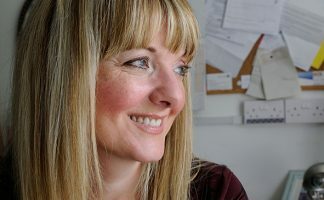 In partnership with Alzheimer Scotland, Dr Maggie Ellis of the School of Psychology and Neuroscience at the University of St Andrews is heading a project to make St Andrews a dementia friendly town. A launch event was held at the Byre Theatre on Tuesday 24th May 2016 and was well attended with representatives from local businesses, university staff and student bodies and residents of St Andrews. The project now has a ‘Dementia Alliance’ whose members are now taking the first steps in making Dementia Friendly St Andrews happen. A recent report from the Centre for Economics and Business Research suggests that businesses which are not sufficiently dementia friendly will lose out as customers go elsewhere or stop shopping as it becomes too difficult. Once your business has taken part in these steps, you will be eligible to display the ‘Dementia Friendly St Andrews’ logo on your website or in your window so that people with dementia and their caregivers can be sure of a warm welcome. Is you are interested in making your business more dementia friendly, please send an email to Dr Maggie Ellis at mpe2@st-andrews.ac.uk with the title ‘Dementia Friendly St Andrews’. Maggie and the Dementia Friendly St Andrews Alliance team will work with you in making these small changes that can make such a big difference to the lives of people living with dementia and their families. Please see below for online information and social media presence.